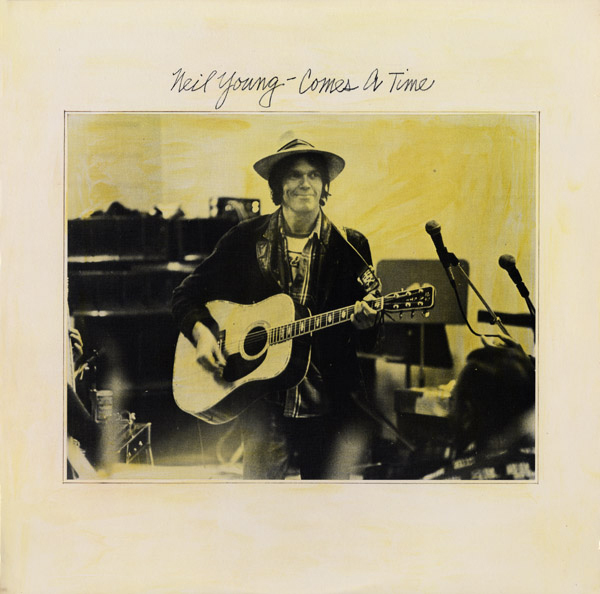 As the story goes, Neil Young once bought 200,000 copies of his 1978 album “Comes A Time” after realizing he had approved a test pressing from a bad master tape and shot them with his rifle. 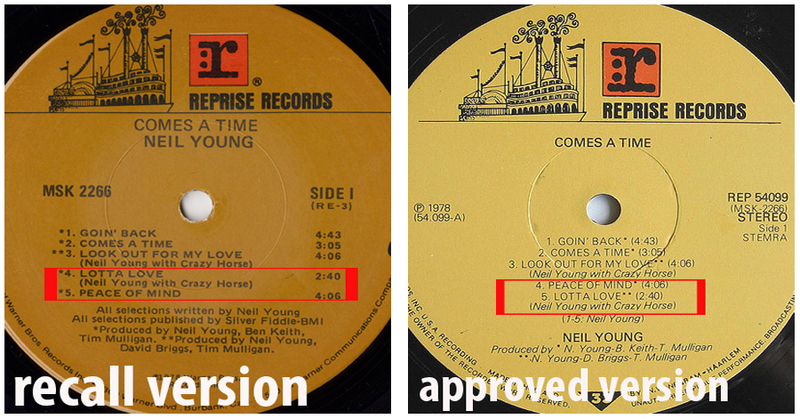 Besides the audio problems Young was concerned about, there is also a difference in the track listing. Most notably the songs “Lotta Love” and “Peace Of Mind” being swapped. UPDATE 1: In a March 2014 interview with Rolling Stone, Young revealed that he in fact used the 200,000 LPs as shingles for a barn roof which puts into question the shooting them with rifles theory. 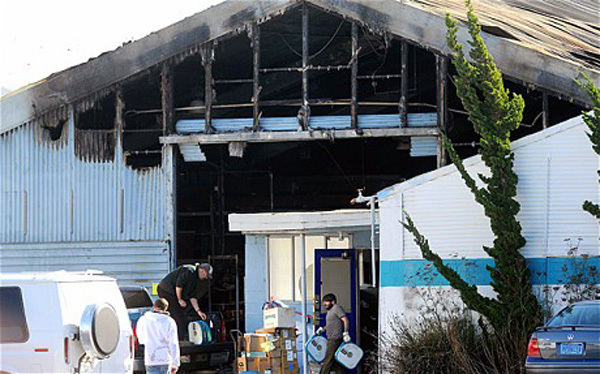 On November 9, 2010, a storage facility rented by Young caught fire when his 1959 Lincoln Continental outfitted with electric batteries and a biodiesel-powered generator by his own company LincVolt was left plugged into a wall unsupervised in the storage unit. 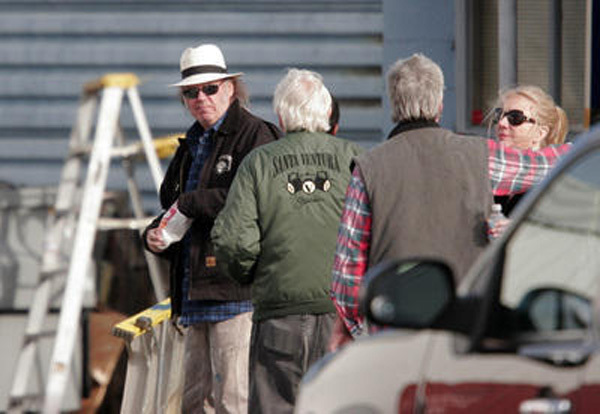 Young kept guitars, paintings, vintage cars and cases of other memorabilia at the 10,000-square-foot warehouse. I wonder if the recalled bullet ridden “Comes A Time” albums were lost in the fire??? Fire officials said about 70 percent of the belongings were salvaged or are salvageable but no official word on the “Comes A Time” records or the carbon footprint left by his eco car ironically burning up a warehouse.